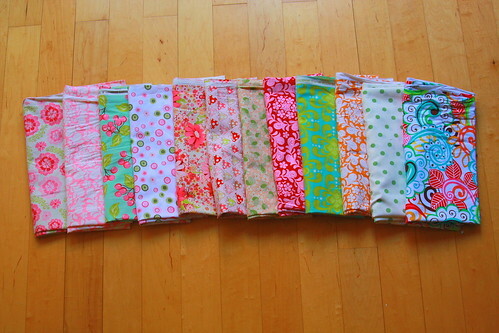 I went a little crazy today at the fabric store. I had all this cash from Christmas presents and a couple of hours child free. 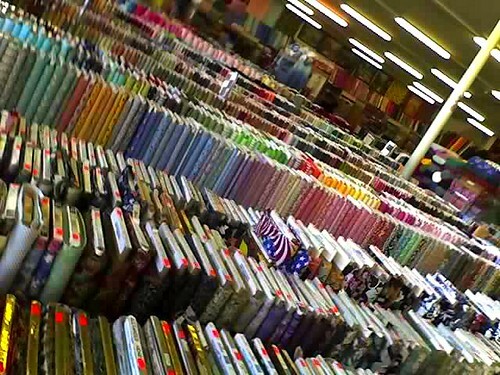 I was so excited, mainly because I went to this awesome discount fabric store that I went to growing up with my mom. I remembered it the other day and I couldn't believe that I haven't gone to it. I have to say that I will ALWAYS go there for fabric now. Do you think I got enough? I took a picture with my phone so it is not the best, but this is the store. This was just a little section of this place, it is huge. adorable prints! i cant wait to see what you do! I love that place now!! although i dont know what to do with all the material yet..its still AWESOME! I too love the prints, so many possibilities! Wager to see what you come up with and that store... wow! I'd need a weekend or so w/o kids to get through it! Whew! 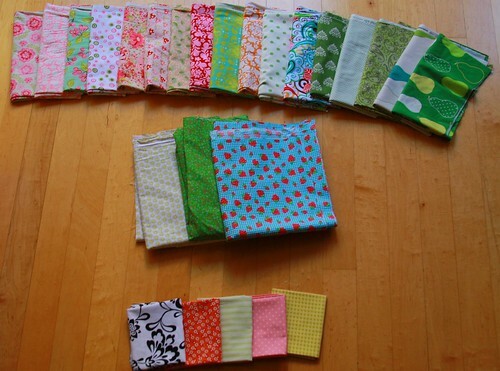 I stumbled across your blog from the Sherman's and I'm just curious where this fabric store is? It looks amazing! It is in Anaheim, CA. It is fabulous. What is the name of the fabric store? H&L or something like that? I wonder if you will get this....I don't check this one as often as your family blog. There is a fabric store in Anaheim that my Mother in Law introduced to me and when we have a new baby she drives us out there to pick out fabrics for a baby quilt that she makes. The store pic you took looks similar...if it's not I would love to know where it is exactly. Hi Darci - I just found your blog and decided to start reading it from your first post. 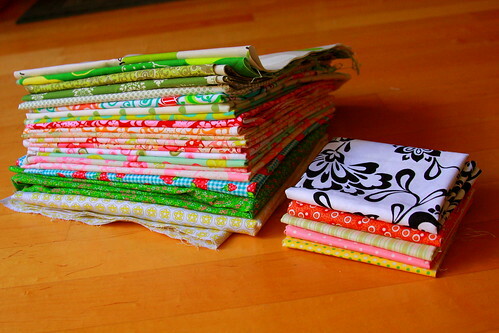 I'm so impressed with your quilts. They are all gorgeous. I wanted to comment on this post inparticular because of the fabric store. I've spent many hours in M&L. I try to visit there whenever I go down to visit my family. I could spend days just going through the flat fold section! Looking forward to seeing more of your projects.